Contrary to the lack of ideology on the Bulgarian political stage, the European political parties are competing on purely ideological grounds in the campaign for the European elections in May, as this is mostly visible in the battle for the presidential position in the European Commission. The main line of division between the lead candidates for the post strictly follows the ideological contours of the political parties that nominated them - left vs. right, liberals, greens, ultra left. On the one hand, this is safe betting at a time when mainstream political parties are facing deprived of ideology populist, nationalist or eurosceptic parties. On the other hand, this is the only anchor of stability in the too heterogeneous European Union from the point of view of political cultures. And thirdly, the ideological battle is the only one possible in the initial stage of creation of European politics which has become possible with the changes the Lisbon Treaty has introduced. These changes allow, if not for an entirely direct election of the European Commission chief, at least for a feeling of participation in the election of this so important European post. And the changes that were proposed by the Commission and adopted by the European Parliament in its current term to the directive on European political parties practically lay the foundation of a deepening common European political process which, however, is in the very beginning. And how far will it go depends entirely on the member states. Except that they compete ideologically, the lead candidates gather support mainly in the countries where their parties are either ruling or are quite strong. The biggest clash is between the two largest European political parties in the EU - the European People's Party (EPP) and the Party of European Socialists (PES). In the current parliamentary term (2009-2014), the former has a majority. 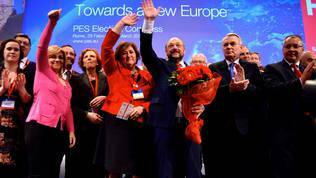 Out of 766 MEPs, EPP has 275 and the Socialists 195. The third largest group is of the Liberals who have 85 deputies in the European Parliament, followed by the Greens (in coalition with the European Free Alliance) with 58 people. Fifth are the conservatives with 56 people, followed by the Confederation of the European united left (35 MEPs) and Farage's group with 33 people. In the next term, the seats will be 751. Whether the Socialists will win the most seats or the right wing is of crucial importance for the election of a European Commission chief because, after the changes the Lisbon Treaty introduced in 2009, the party that has won the most seats in the European Parliament has the opportunity to nominate a candidate who, however, has to be supported by the member states. Unless they decide to come up with a nomination of their own and impose it on the Parliament. That is why, the fight on European level between the two lead candidates - EPP's Jean-Claude Juncker and Martin Schulz (PES) is so heated. The two have already crossed swords during TV debates and have defined their main differences. Jean-Claude Juncker launched his campaign in Brussels thus sending a very clear message - this is the capital. His second very clear message was that his tour began from northern Europe which obviously shows that, to him, their economic model is a role model. He said this himself during his speech in Helsinki on April 16th. "It is a great pleasure for me to be in Finland today. It is a pleasure because Finland has something in common with my home country Luxembourg: along with Germany, Finland and Luxembourg are the only countries in the Euro zone who have triple A status. We have thus the best reputation in terms of creditworthiness and financial solidity. This is not self-evident after some rather turbulent years on the financial markets", said the former Eurogroup chief. Further on in this speech, Mr Juncker explained that the EPP is not a conservative party, on the contrary. It is progressive in many aspects and even on many issues it is in agreement with the Socialists, as, for instance, in terms of rejection of extremist parties. 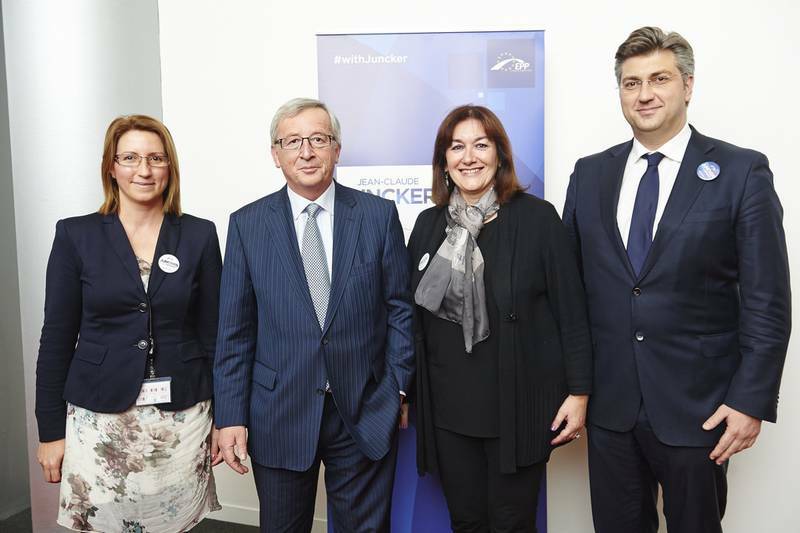 However, very clear are the differences in terms of the European agendas of the two parties, Juncker said. The main division line is in the ways to boost economic growth and create jobs. The Socialists believe that this can happen through new debt. "We see this clearly in the Socialists jobs plan, which consists of a lot of new spending, going far beyond what is available under the EU budget and under national budgets", the former PM of Luxembourg added. According to the EPP, today's debt destroys the perspectives of the future generations for better education, good health care systems and solid social security. Besides, the high indebtedness is anti-democratic because the excessively indebted countries turn into a fair game to financial markets. That is why, if elected, Juncker promises to fight for balanced budgets which, in his words, is not an ideological statement but a very pragmatic one because "a country balancing its budget can be its declaration of independence from the markets". EPP's candidate Juncker has tried in all his appearances so far to secure the difficult balance between centrifugal and centripetal forces in the EU. On the one hand, he is promising less Europe where it is not necessary, but, on the other, he says that some areas are impossible without more Europe. A major priority to him, requiring more Europe, is digital economy. Internet is global, digital technologies do not recognise geographical borders, but Europe still has 28 different national telecom regulators, copyright regimes, legislation for consumer protection. In spite of the huge progress in the past five years, there is still a lot to be done and Juncker promises that this will be his top priority. For the purpose, he will fight for a completely integrated single digital market which will become possible with pan-European operators. According to him, digital content must be European, which means to be generated from the very beginning and sold for the entire continent, not only for individual countries. Less Europe he promises for businesses and regulation, but recalls that a large part of the legislation which is often made fun of by eurosceptic parties, in fact, is the result of common European bargaining. For example, he explained, the EU can stop regulating energy consumption of coffee machines, but this means the EU to abolish the eco design directive which has been adopted with the support of the majority of the member states and the European Parliament. Naturally, the legislation about high heels of hairdressers can be removed, but it should be known that it is the result of an agreement between employers' organisations and trade unions who want improvement of work safety of hairdressers. May be, to some reform tuned countries like UK and The Netherlands, for instance, high heels and the curves of cucumbers are a top priority in their fight to get away from Brussels's orbit, but to Juncker much more important seems energy independence which, however, continues to look hard to achieve although Russia is making the task pretty simple. Juncker promises that if elected a European Commission president energy policy will be among his top priorities. "This is for me a key lesson of the Ukraine crisis". Europe has to become more independent from the import of energy, it should enhance the infrastructure between west and east, between north and south. "If a country such as Bulgaria or Slovakia can no longer get sufficient gas from the East, we should be able to compensate this with gas supplies from the West, and this must also become technically possible. Here, a lot of work needs to be done", Juncker noted. He also believes that the available European legislation is not used deeply enough, but it gives a possibility to those countries who want to build common European defence. Juncker aims to reunite Europe after the crisis which is, may be, even more ambitious goal than creating energy security. Although his attempts to indulge everyone are quite visible, in Juncker's statements can be seen his strong will and political leadership which could be a hurdle to his future as a European Commission chief. According to some analysts, Chancellor Merkel does not like very much the idea this position to be held by a strong figure. In this vein, Juncker's statement was very interesting precisely in Finland where PM Jyrki Katainen formally announced he is withdrawing from the Finnish politics to dedicate himself to the European one. He is one of the informal candidates for the position Juncker is campaigning for on the formal front. Juncker called Jyrki Katainen a friend, but recalled that it was the EPP that struggled very intensively for a new clause in the Treaties to put an end to the behind the scenes deals for the European Commission chief position. "For me, it is very good news that you, Jyrki, intend to change your current position for a European position this summer. Of course, this will be a great loss for Finland. But Finland will at the same time win with you a uniquely strong Finnish voice in Europe", Juncker said in his typical style of a dexterous politician with a huge European experience. He emphasised that he was officially elected by the EPP at the party's congress in Dublin as a candidate of the party and pointed out that he will rely on friends in his work. A very telling message which is addressed in several directions. In Bulgaria, Jean-Claude Juncker can be elected through GERB, the Reformist Block and Blue Unity. In Croatia, he can be voted for through the Croatian Democratic Union (HDZ), although the situation there is very complicated. Unlike Juncker, Schulz has the advantage of being a German and although being from a rival political family the European Parliament chief enjoys Germany's support for the European Commission president's seat. Martin Schulz launched his campaign on April 17th in Paris which can be interpreted as a symbolic gesture, but it could also mean something else. On the one hand, he might want to underscore the significance of the Franco-German motor of the European integration, but on the other this creates a feeling that the two countries continue to be more important than Brussels which is right the opposite to what Juncker conveyed as a message. Still, Schulz explained that he chose Paris for sentimental reasons but the fact that France is currently ruled by Socialists should not be ignored. Schulz could get a very strong shoulder of support by President Francois Hollande who has resisted from day one the austerity policy although he recently realised that there is no other way but applying it. 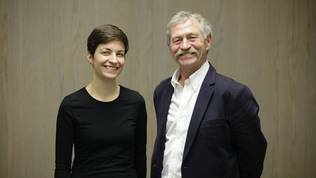 The Socialist candidate, too, focused on ideological differences in his speech in Paris, saying it will be very difficult to respond to the justified anger of the young generation which faces a huge risk of turning into a lost generation because of the high levels of youth unemployment after ten years of rule of the right-wing in Europe. The European Commission has been chaired by Jose Manuel Barroso in two consecutive terms. He is from the family of the EPP. The fact that Schulz speaks about ruling of the right-wing in the course of 10 years means that he perceives the Commission and the president's post as a genuine European government which the Commission certainly is not. A large part of the Commission's economic policy is drawn by the member states or is conducted with their approval and by themselves. 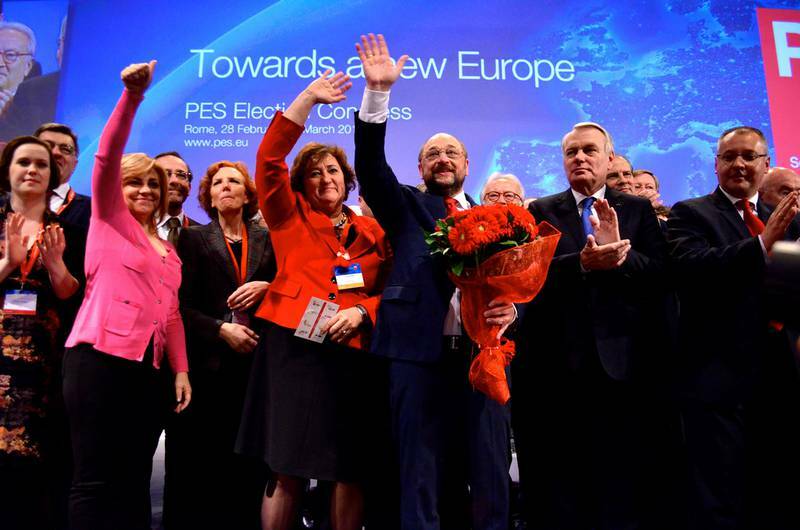 Currently, a majority of EU member states are governed by EPP parties. Schulz's priorities are purely leftist. He promises to fight for the introduction of a minimum wage system the size of which will be defined on a country-by-country basis. Another priority of his is equal payment for men and women, reduction of youth unemployment though investments in education and training, enhancing the common currency, fight tax fraud and tax evasion, protection against risky behaviour by banks and speculators. Generally, Mr Schulz's vision is quite general and not very specific, but it is to clarify in the coming weeks when his campaign bustles into full speed and the debates between the lead candidates heat up. Martin Schulz may be voted for in Bulgaria through the Bulgarian Socialist Party (BSP) and the party of Bulgarian Social Democrats. In Croatia, he can be supported through the Social Democratic Party (SDP). The former Belgian prime minister is one of the strong candidates. He will present his programme on April 25th, but some of his ideas are already sketched out in public. Mr Verhofstadt wants to "fix" the economy by redirecting the EU budget toward big and innovation projects with a clear return of investment. The Liberal candidate, too, walks along the ideological contours saying: "Socialists think they can solve the crisis by increasing budgets and national debts. Conservatives lack the solidarity and vision to balance their harsh austerity measures. 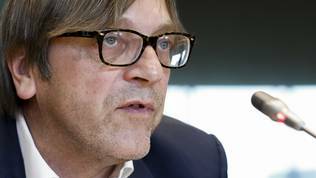 Eurosceptics would re-establish national borders making foreign direct investment extremely problematic and costing the Union jobs", Guy Verhofstadt believes. He promotes reform of the European institutions, a radical one. According to him, they should become more efficient, but still there are no details to see how does he see such a reform. Nonetheless, he directly attacks his rivals saying that the conservatives do not foresee ambitious reforms of the European institutions and it is their lethargy that is fuelling wide-spread discontent with the institutions. The Socialists make the same mistake, the Liberal believes, by refusing reforms of the European institutions and even want to increase bureaucracy. 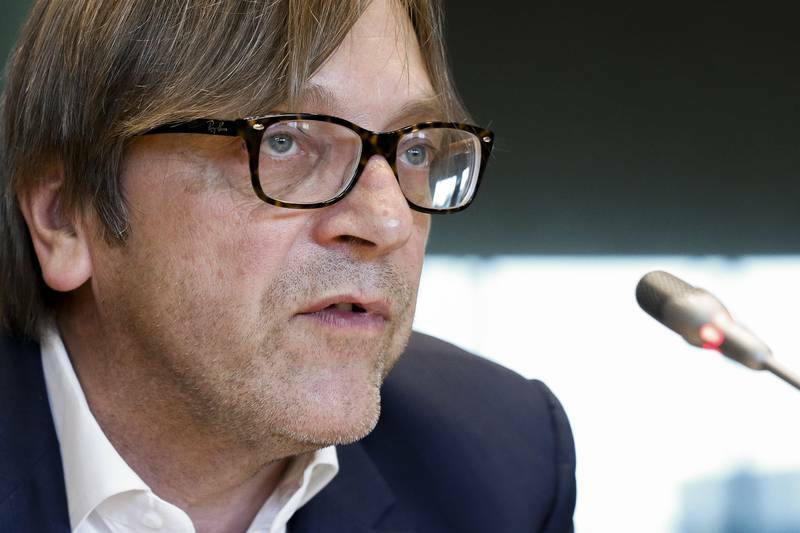 Guy Verhofstadt can be voted for through the DPS and NDSV in Bulgaria and in Croatia through HNS. 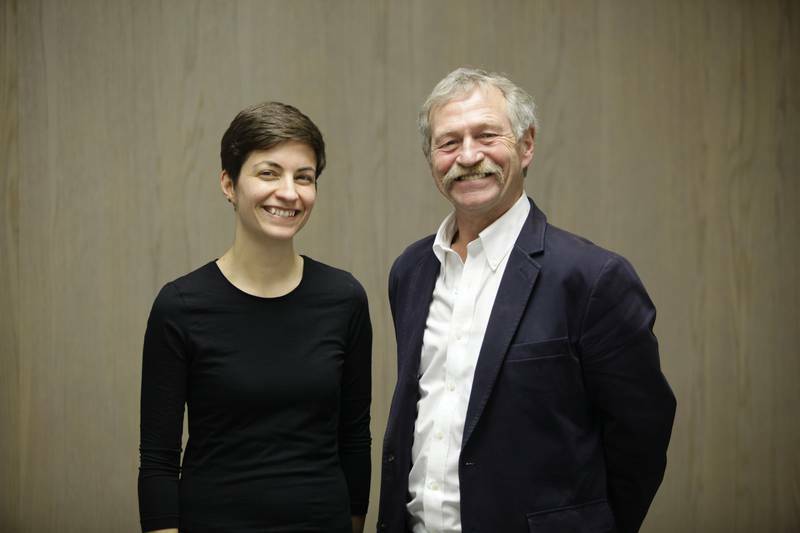 The candidates of the Greens are two because two people ended up with an equal score in the primaries - Ska Keller and Jose Bove. However, they have still not been able to be outlined in the European campaign. What is available at the moment is the election platform of the Greens whose ideas, to a large extent, coincide with Socialists'. The Greens have a strong focus on young people, demanding an end to unpaid internships, social inequality in Europe, creation of fair minimum social standards which cover wages, health care and pensions. The Greens also want better mobility of social benefits and recognition of diplomas in the EU to facilitate migration. What distinguishes the Greens from the other rivals is their energy policy. A major priority of theirs is to ban shale gas in Europe and they are very eloquent in their position, titling it Frack Off. They are also against nuclear energy. They believe the solution is an energy union that creates an adequate infrastructure which allows the south to provide the rest of Europe with sunlight electricity and the western coast with wind energy. The Greens have a very strong focus on European democracy. They believe the European Council should become more accountable and transparent and national parliaments should have a more active voice in European politics. The Greens want a new Convent to define the future of European integration through strong participation of national parliaments and the civil society. Whatever this convent agrees it should be approved via pan-European referendum. This is what is offered but what will we get? 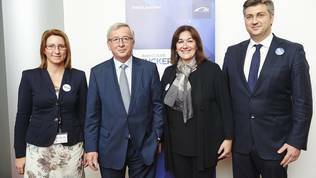 The election of a European Commission president creates much higher expectations for European politics than actually exist in real life because European politics will be available only when European citizens can vote directly for a candidate not through national parties, as euinside recently wrote. This is one of the reasons why the lead candidates are touring mainly countries where their political families are either ruling or have a very strong role or are countries that have a strong voice in the Council. Moreover, the European politics will become a fact when the European Commission chief has the possibility to pick his own team from the member states and not be forced to work with people suggested by the member states. This means strong politicisation of the Commission, but it will also give it that democratic legitimacy the lack of which was so strongly criticised in the current term. In the European Parliament, the ideological differences among the parties rarely are so distinctive, because most of them vote together on key European dossiers. When it comes to the European Commission chief, the situation is different, although the political colours do not have much importance for the functioning of the Commission because it is by definition a supranational and supra political body. But still, these elections mark the beginning of a genuine European politics. The priorities of the leading candidates reveal the ambition for more than what they can actually give, but nevertheless the final choice is in the hands of the member states. That said, it is also true that we will all taste the European politics. The question is will we like it. Because if we do, we might demand more.